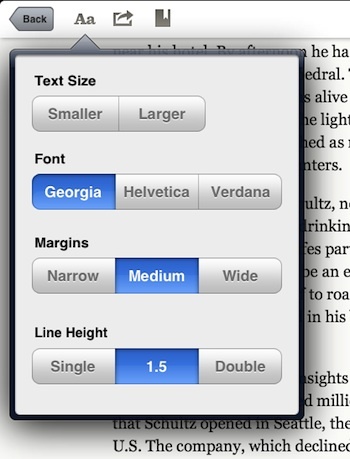 When running through the apps that use the Readability technology, we mentioned LongForm. 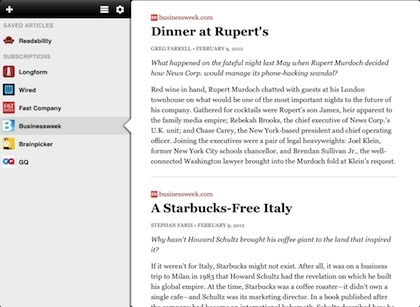 An app that provides access to online magazines and news providers, to read offline on your iPad. With the help of Readability, the articles are available as they appeared on the original Web sites or ‘cleaned’ down to just the article’s text. When we went and looked at it this week, we found that it is 80% till March 13th. LongForm, as it is when you first load it, will give you articles they have pulled together which you may want to read. Selecting the ‘+’ will give you a list of magazines to add. The list can be resorted manually. Tapping any of the magazines in the list gives you the article’s short descriptions to sweep through. Tap one to see the full article. If you have a Readability account, you have access to the content you sent to it for later reading via LongForm too. So, the app is good for reading content you pushed past like we mentioned in the Readability post last week, as well news and magazines all in one app. Choosing ‘Read’ in the upper corner or if your using LongForm when offline, the content is presented in ‘clean’ form for easier reading. 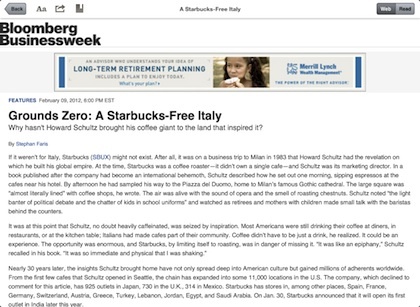 Available across the top of the page is the ability to alter the reading text. 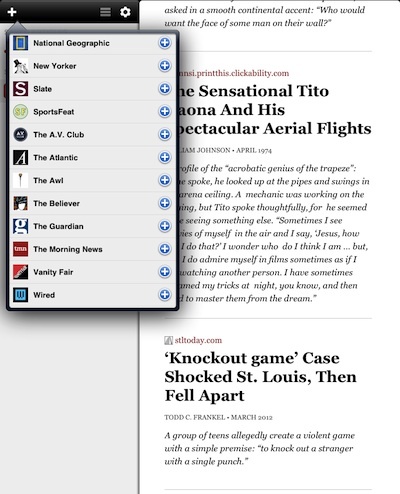 Sharing with LongForm can be done through email, Twitter, Facebook, post to Tumblr and open in Safari. 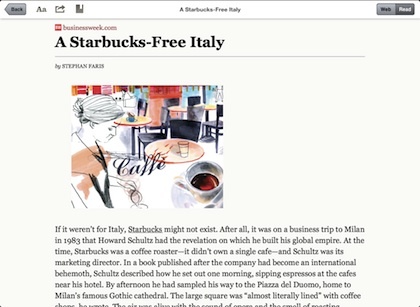 The ‘bookmark’ looking icon offers the ability to send the article to offline reading apps Readability, ReadItLater and Instapaper.